Accountancy firm KPMG has said it will no longer do consultancy work for the UK’s biggest companies if it is also auditing them. In a memo the firm’s chairman said the move was to “remove even the perception of a possible conflict” of interest. The “big four” accountancy firms are under scrutiny following the collapse of construction firm Carillion. Earlier this year the Financial Reporting Council (FRC) said the auditing work of the “big four” firms – Deloitte, KPMG, E&Y and PwC – had deteriorated. It said KMPG’s audits in particular had shown “an unacceptable deterioration”. In the leaked memo to partners from KPMG chairman Bill Michael, he said the firm was “working towards” stopping non-audit work for FTSE 350 clients if it was also auditing them. He said there continued to be a “significant commentary around the extent to which the provision by the auditor of non-audit services to listed companies creates a conflict of interest or perception of such”. 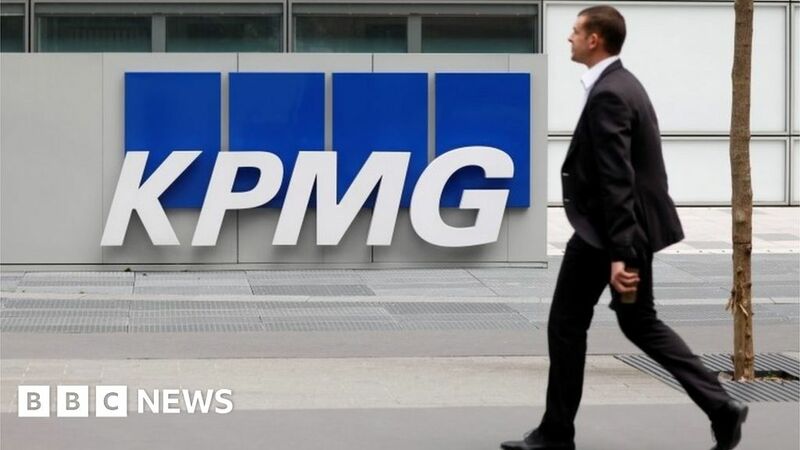 KPMG audits 90 FTSE 350 companies and is the first of the “big four” auditing firms to say it will stop doing non-audit services for companies it audits. “The roots of our profession lie in a fundamental need for trust, assurance and confidence in the capital markets,” said Mr Michael. Auditors review the accounts of firms to see if the figures are a true and fair reflection of companies’ financial health. But the accounting industry has faced a lot of criticism in the last few years over whether their verdicts on companies’ accounts can be trusted. Apart from the collapse of Carillion and the demise of BHS, a series of accounting scandals have focussed regulatory attention on the sector. Last month, the FRC said its review of the audit industry would “include determining whether further actions are needed to prevent auditor independence being compromised, including whether all consulting work for bodies they audit should be banned”. The Competition and Markets Authority (CMA) has also said it would probe whether the sector is “competitive and resilient enough to maintain high quality standards”.